Orlando Pirates have put behind them the disappointment of being knocked out of the CAF Champions League and are now fully focussed on challenging for the ABSA premiership title. Pirates assistant coach, Fadlu Davids, says their aim is to collect maximum points in their remaining seven league matches starting with Monday’s top of the table clash against Mamelodi Sundowns. Fans of Pirates and Sundowns were salivating at the prospect of watching their beloved teams lock horns in Africa’s premier continental club competition, but that will not happen with the country’s hopes in the CAF Champions League now resting on Sundowns’ shoulders after Pirates were knocked out. It might a blessing in disguise for Pirates that they now only have the league title to challenge for. Davids says that their aim will be getting maximum points in the ABSA Premiership. Whoever wins Monday’s match will improve their chances of winning the league title while dimming the other’s chances of doing so. As for Pirates, it will also be a chance to record a rare win over Sundowns at their fortress. Pirates have struggled against Sundowns at the Orlando stadium, but have done well against them in away matches. Davids says that this match should not be considered as a title decider. Pirates captain, Happy Jele, says that this is a chance for the club to redeem themselves against Sundowns in their Orlando home ground. Pirates will be without the injured midfielder, Xola Mlambo, and the suspended Vincent Pule, while Sundowns will be without Uruguayan striker, Gaston Sirino, who is serving a two-match suspension. 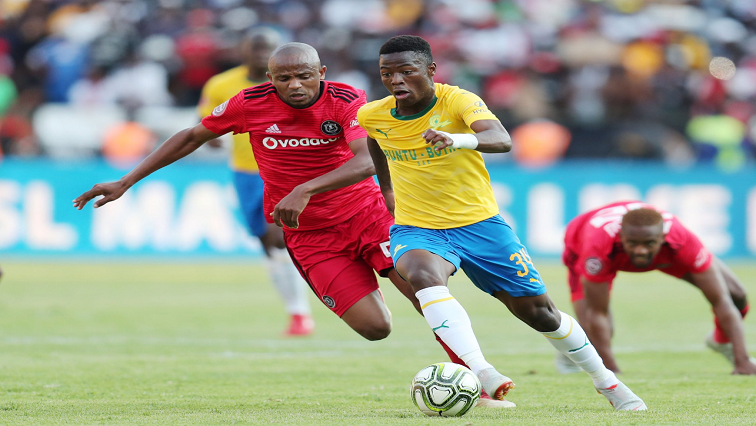 The post Pirates to focus on ABSA Premiership appeared first on SABC News – Breaking news, special reports, world, business, sport coverage of all South African current events. Africa's news leader..